In the automotive world, times are changing: most consumers are looking for more modern, more well-outfitted cars than ever before; at the same time, there’s high demand for efficient, cost-effective vehicles that can withstand the wear and tear of a daily driver. Some automakers have responded with expensive hybrid engines, which often cut down on power to make room for efficiency. 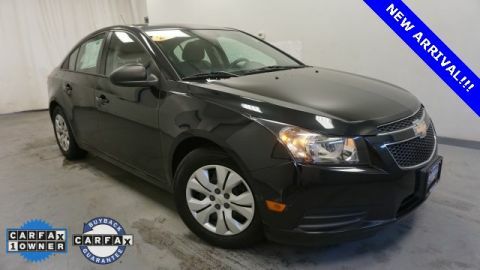 But for those drivers out there looking for all the comforts and capabilities of an efficient standard sedan, there’s simply no choice better than a used Chevy Cruze. Now firmly in its second generation and offering some of the most exciting and desirable features around, the Chevy Cruze takes its cues from a heritage of excellent vehicles, both in its roots as a Chevy and as the newest member of the Cruze family. But look back at the model’s history and you’ll find a surprisingly capable lineup of Cruze options – many of which fall in just the right price range for used car buyers to really get a great deal. 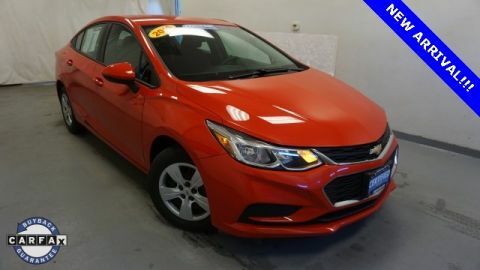 If you’re ready to turn up the heat on the road without emptying your wallet, look no further than a used Chevy Cruze and you’ll see just how much this impressive Chevy sedan has brought to the table since it hit the scene. One of the biggest benefits to piloting a used Chevy Cruze is enjoying the particularly sporty engine options found standard or available throughout the model’s lifespan. And, for those drivers concerned with efficiency and emissions, the Cruze was one of the first sedans in decades to offer an efficient diesel passenger vehicle. In its first generation back in 2011, the Chevy Cruze offered a pair of powerful engine options, including a satisfying 1.8L and a sporty turbocharged 1.4L for your choice of engine power on the road. This same 1.4L turbo is now found standard throughout the second-generation trims and offers up to 153 horsepower at a highly efficient 42 miles per gallon. These come mated to a smooth six-speed automatic transmission for easy shifting on the road, or an available six-speed manual to put total control in your hands. Those who chose the Cruze early may also remember the Chevy Cruze Eco, a powerful turbocharged model specifically designed to be aerodynamic and efficient thanks to a standard electronically controlled air shutter, which could increase airflow to the engine to boost performance in order to achieve up to 40 miles per gallon on the highway. For those looking to breeze past the pump on those long drives, the Cruze Eco offered a unique and early look at the future of efficient sedan technology. Much to the excitement of emissions watchers and fuel conservers, Chevy upgraded the Cruze to include an available clean diesel engine in its 2014 Chevy Cruze Clean Turbo Diesel, the first commercial passenger car to offer a full diesel engine in over 28 years. This efficient machine features an impressive 2.0L diesel engine capable of pushing out up to 46 miles per gallon highway and 148 horsepower with the six-speed manual transmission – and it even offers biodiesel fuel compatibility for diesel that’s up to 20 percent biodiesel fuel. For the earth-lover on the go, few models match the power of the Clean Diesel Cruze – and with a starting MSRP of $25,695 back in 2014, you should be able to find one for a song these days. 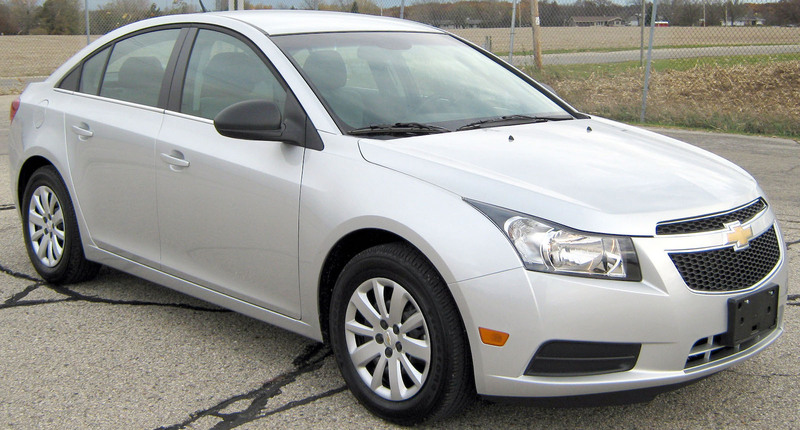 First conceptualized and announced back in 2009, the Cruze is undeniably a car built for the modern driver. Bringing a fully 21st-century perspective into its original design, the Cruze is and has always been Chevy’s answer to what today’s driver is looking for in a compact sedan – and with that said, it’s no surprise the Cruze has always packed some of the most impressive style cues and the amenities we take for granted nowadays in its cozy, driver-centered cabin. Reach back as far as you’d like in the Chevy Cruze lineup – even back to the very first American model released back in 2011, and you’ll find modern amenities like a six-speaker sound system, early cell phone connectivity, satellite radio, and 12-volt power outlets for charging on-the-go. Move up through the years and we see additional features like the Chevy MyLink infotainment system, sound-deadening interior tech, and an available Technology Package with a rear-vision camera and preventative safety tech included. This may all culminate in the wide range of standard safety and entertainment tech found in the current Cruze model, but it’s key to give the Cruze credit for providing so many impressive features in its early stages. While the Cruze has always come proudly bearing its compact stature as a great option for sporty, urban drivers, this certainly doesn’t mean the Cruze is built to feel cramped. 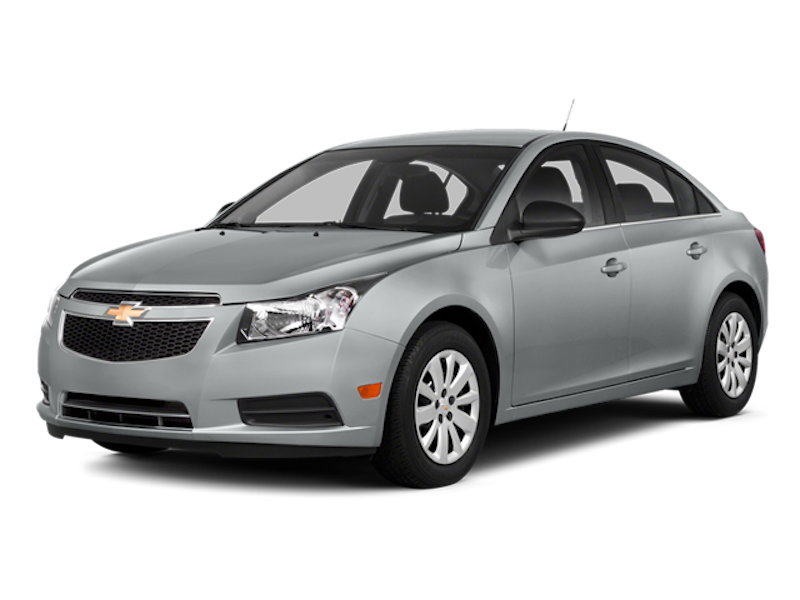 In fact, Chevy took great pains to update and revitalize the Cruze’s interior for the 2013 model, significantly stretching the wheel base by several inches to open up plenty of passenger space in the cabin. Plus, with spacious legroom, available cabin Wi-Fi, and premium materials throughout the interior, you and your passengers will be able to rest easy in your beloved used Chevy Cruze no matter where the road takes you. There are few out there who can rightfully deny Chevy its place on top of the American automotive world. Known for decades as a prime creator of trucks, coupes, and classic models, Chevy has long been a favorite of stateside consumers – but in the sedan department, the brand may have arguably fallen a little flat over the past few decades. But with the release of the Cruze back in 2011, American drivers saw a marked improvement in both the quality of Chevy sedans and the brand’s overall commitment to creating enjoyable, impressive, and efficient machines for the modern age. As drivers face more and more of the challenges that exist on the road today, it’s more than reasonable that they would demand better and more effective safety features – and for consumers looking at used car lots, choices on used models can be disappointingly slim. But this certainly isn’t true of the Chevy Cruze, which has included plenty of standard safety tech, like advanced seatbelts and airbags throughout, since it first rolled off the production line back in 2010. Fast forward to the second generation in 2013 and we see even more standard features – like side airbags and front knee airbags as well as preventative safety tech like Side Blind Zone Alert and Rear Cross Traffic Alert for added safety on the road. 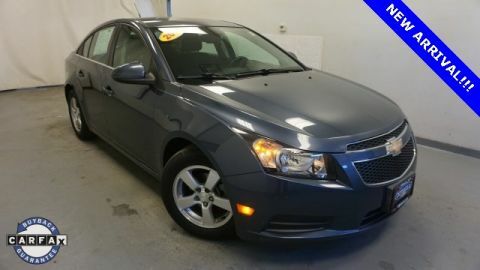 When you’re ready to make that move and get in one of the most impressive compacts of the past decade, there really aren’t many better options than a used Chevy Cruze – and no better place to find it than DePaula Used. Built with the future in mind and superseding many of the usual trends in the industry, the Cruze proves you don’t need a fancy, expensive hybrid engine to get the most out of an efficient sporty engine. Combine this with the friendly, knowledgeable staff at DePaula and you’ve got the makings of one seriously easy used car transaction. Get yourself ready for the future in a used Chevy Cruze from DePaula – and learn to love the ride while doing so.